One of the most popular boats in Australia's boatbuilding history having been produced for more than 15 years and still in production. Many went into charter, and this boat was built to survey, a higher standard than a recreational boat. It is in very nice condition but with the owner working . . .
2014 launch, this amazing boat is like new, and available for immediate delivery. Currently located in Italy, Powered by two Yanmar 6LPA-STP2 diesel engines of 315HP each. 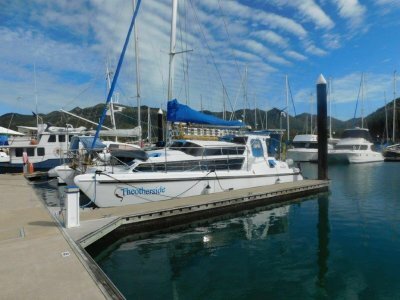 Teak laid decks and cockpit, hydraulic swin ladder, gourmet galley, 3000 litres fuel, 3000 litres water providing very long . 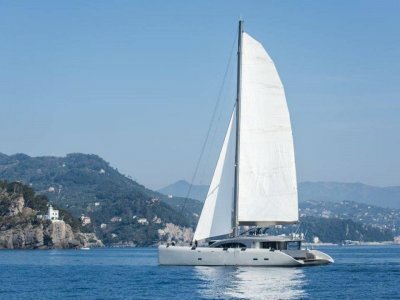 . .
Multihaven 10.95m sailing cat, a modified Prout design with an. Australian builder and built in China to australian survey, Was origionally in charter but now privately registered. 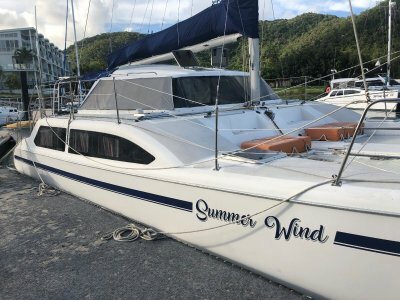 Well equipped for liveaboard, which the present owner does. He says he can comfortably sail the boat single handed, . . .
Impeccibly maintained superyacht is kept in glorious condition, and presents as new. 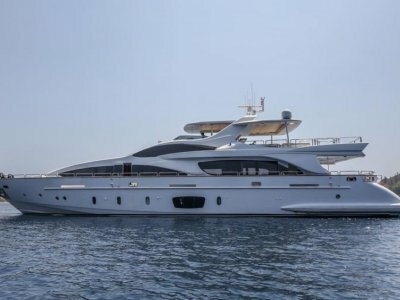 Catering to 8 guests with a Captain and crew of 4 this superyacht is in mint condition and ready to go. Many upgrades in recent years include underwater exhausts, cleaner and quieter, rudder and steering system . . .